Physics World recently published a story about Thayer School of Engineering graduate Jacqueline Andreozzi, PhD, and her presentation at the 2018 AAPM Annual Meeting on the use of Cherenkov imaging for beam measurements in a MR-linear accelerator. Jacqueline and the Dartmouth research team used a MR-linac to irradiate a water tank and measured Cherenkov emissions with an intensified CMOS sensor. Using a remote triggering device, they synchronized the acquired images to the radiation pulses from the MR-linac. Because the CMOS sensor can more easily collect red/near-infrared photons, the Dartmouth team demonstrated through these simulations that the number of detected Cherenkov photons is proportional to radiation dose. Dr. Andreozzi concluded that Cherenkov imaging is a MR-compatible method for measuring MR-linac doses that is both rapid and repeatable. Importantly, Cherenkov imaging also has the potential for expansion to small beam dosimetry. Jacqueline is now a Medical Physics Resident in the Department of Radiation Oncology at the University of Florida. 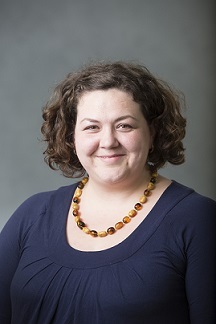 Congratulations to Optics in Medicine faculty member and Assistant Professor at Geisel School of Medicine Kimberley Samkoe, PhD on receiving an R37 Method to Extend Research in Time (MERIT) Award from the National Cancer Institute (NCI). The R37 MERIT Award enables NCI-funded Early Stage Investigators to obtain an expedited 2-years of funding in addition to an already funded 5-year R01 award. Dr. Samkoe’s R37 MERIT Award is entitled, “Paired-Agent Imaging for Resection during Surgery (PAIRS) for Head and Neck Cancers” and focuses on improving outcomes of patients with head and neck cancers by refining the surgeon’s ability to remove all residual cancer cells. The proposed paired-agent imaging technique uses plasma transport kinetics to separate the signals of a tumor-targeted molecular imaging agent and a non-targeted control agent, isolating true molecular-bound signal. If successful, this technology will ultimately allow clinicians to identify and remove residual cancer cells at the boundary where tumor meets normal tissue; thus, maximizing patient survival and reducing life-long surgery-induced complications. 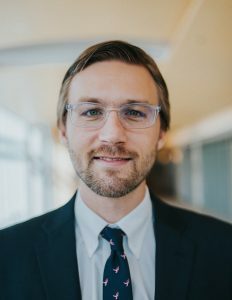 Irwin was awarded 3rd prize for his presentation in which he presented clinical data from the application of time-gated imaging of small scintillator dots placed on the skin surface of patients receiving irradiation. Detection of these point dosimeters with a camera that measures Cherenkov emissions (C-Dose camera by DoseOptics LLC) allowed for quantitative skin dose estimation from the image analysis. The data were validated with OSLD dosimetry used at the same time. Dartmouth’s approach provides the first methodology for remote quantitative imaging dosimetry. Irwin was also the 2nd place winner of the National Young Investigator Symposium at the AAPM Spring Clinical meeting. 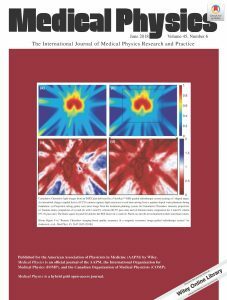 Research images by Thayer School of Engineering grad Jacqueline Andreozzi PhD are featured on the cover of the June 2018 edition of AAPM journal Medical Physics. 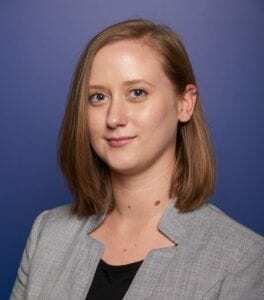 Her publication “Improving treatment geometries in total skin electron therapy: Experimental investigation of linac angles and floor scatter dose contributions using Cherenkov imaging”, also received the editor’s choice. We congratulate Optics in Medicine group member and Thayer School of Engineering graduate David McClatchy III PhD on winning the John W. Strohbehn PhD Memorial Prize at Thayer’s 2018 Investiture Ceremony. David (“Bo”) helped launch a major research program in imaging radiotherapy that now involves approximately 20 people. Great work, Bo!